How has this not been done before? Even Metallica itself has covered "Enter Sandman" with classroom instruments. YouTube musician Rob Scallon has made a habit of clever Metallica covers, but now he makes his "fight on the hill" a twee battle. 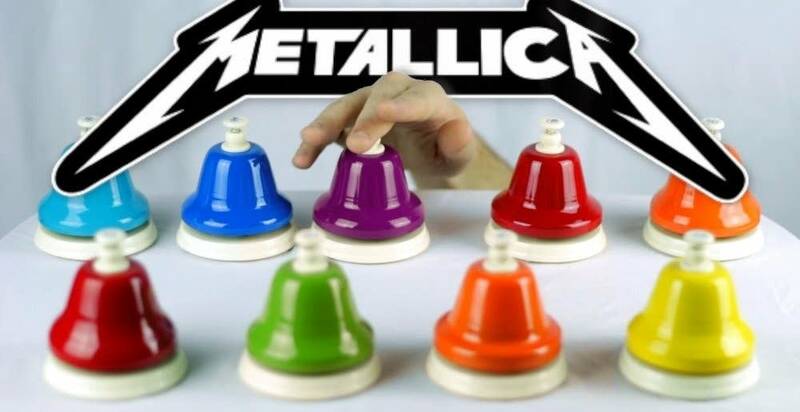 Using singing bowls, toy xylophones and bells both sleigh and bear-shaped, this version of "For Whom The Bell Tolls" sounds like the whimsical and mischievous score to Home Alone. "Time marches on" ... adorably.